All of products are 100 % hand-made, including furniture?s, basket, candle holder, beach chair, shelves, rack??.. 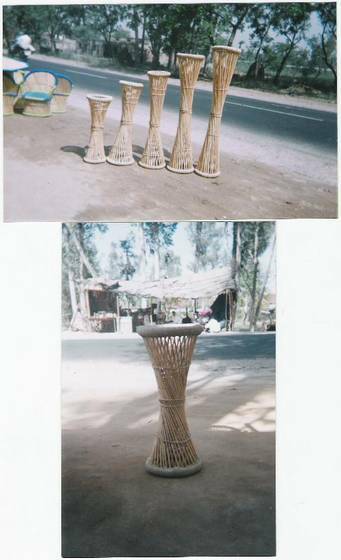 Our product are all made by skill full artisans who have learnt this art from their ancestors and are based in villages of Utranchal Pardesh in India. We produce and export directly, control and guarantee quality by our self. The perfect furniture & accessories for conservatories, wellness centers, saunas, thermal baths, hotels and exclusive restaurants hotels, gastronomy, bars, cafes, hospitals, relax rooms, agencies, as office furniture, actual all representative rooms!